Los Angeles-based Friendly Family Productions, LLC has chosen the MyMediabox suite of applications to improve digital asset management and style guide delivery, deal memo management, and product approval processes with their partners and Licensees. 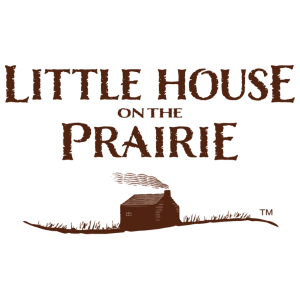 “Our company recently created a classic licensing program for Little House on the Prairie® and appointed agents in the U.S. and in a number of major international markets. We decided to contract with MyMediabox at the outset in order to establish a strong operational foundation and provide streamlined asset management and product approval tools to our network of agents, licensees and retailers. Our goals are to set ourselves up for success, provide best-in-class software tools to our agents and licensees, and demonstrate our commitment to the brand,” states Trip Friendly. By utilizing their privately labeled Mediabox-PA, Mediabox-DAM and Mediabox-DM* sites, Friendly Family Productions is now able to streamline approval processes and improve internal and external communication on a private, cloud-based platform. * (2017 Update) Mediabox-DM is no longer available, as key functionality for that module has been moved to the Essentials version Mediabox-RM. For more information on Mediabox-RM Essentials, please contact us. Friendly Family Productions is a Los Angeles-based entertainment company. The Company owns film, television, merchandising, theme park and other rights in and to the beloved Little House on the Prairie books by Laura Ingalls Wilder, as well as the Little House on the Prairie® trademark. The company is managed by Trip Friendly and Rebecca Friendly. Founded in 2001, MyMediabox enables Consumer Product Licensors and Agents to form efficient and effective business relationships. Through its suite of online solutions, MyMediabox maintains a high standard of creative and product development support for valuable brands and properties. MyMediabox’s applications include Mediabox-DAM (Digital Asset Management), or style guide asset delivery, and Mediabox-PA (Product Approval), a real-time product approval workflow application that links directly to Mediabox-DM (Deal Memo), to control the types of projects licensees can start based on their contractual terms.